Sometimes I wonder why we need to walk around in these stinkin’ People Shells. 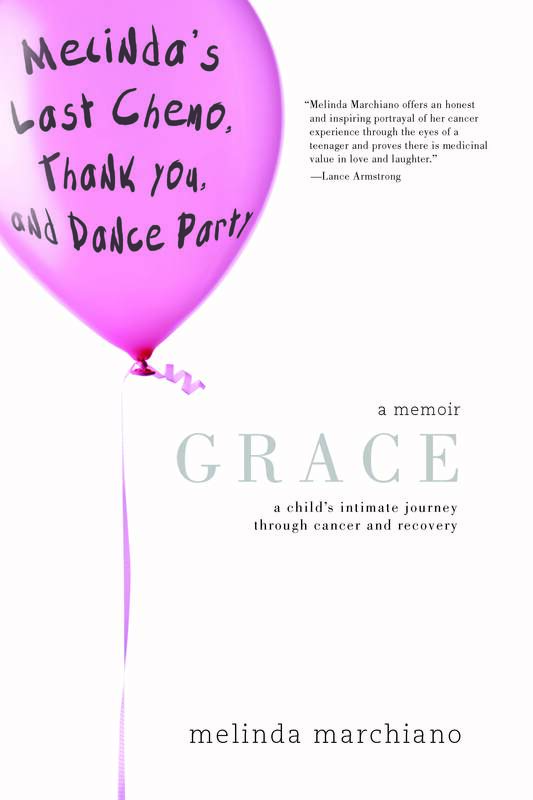 Please forgive me God— I am very, very grateful for my body. I call them “stinkin” because they get messed up, they mess you up, and they give out. 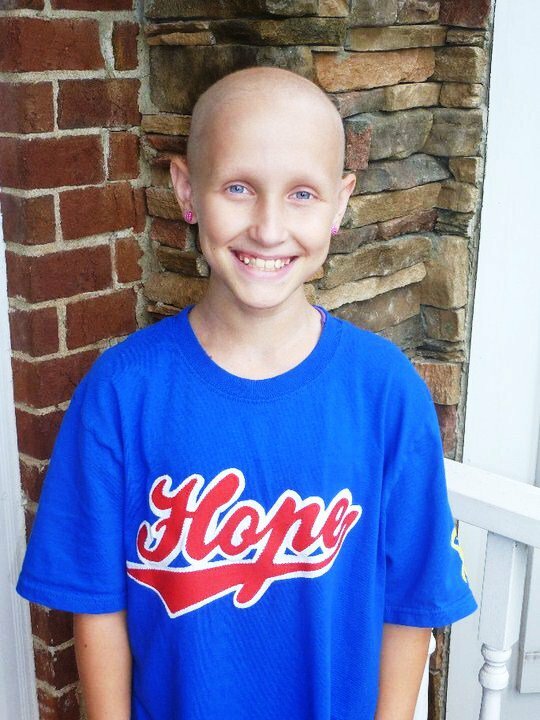 Savannah will be forever 11, but her smile will be forever mixed with all the love I store in my heart. I never had the pleasure of meeting her here on this Earth, but I look forward to meeting her where she dances now. She must be dancing, with Breanna, and Max, and Alexa, and so many others. This joy awaits us. Every one of us. We must be called to love one another. Being stuffed into this People Shell gets tough… watching our loved ones suffer in their People Shell is torture. While I am here in this Shell, I pledge to do all I can to make cancer disappear from People Shells—beginning with Tiny People Shells. Praying for Savannah’s family. Grateful for the love Savannah shared with all of us. One year ago, a precious two year-old girl named Layla Grace earned her angel wings. 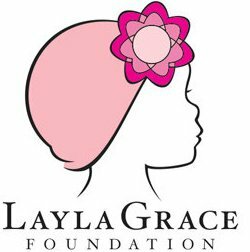 Now, the Layla Grace Foundation works for discoveries of new treatments for children with high-risk cancer. Their goal is to “empower” parents with tools to become advocates for their children. At the same time, they work to raise public awareness about their cause. 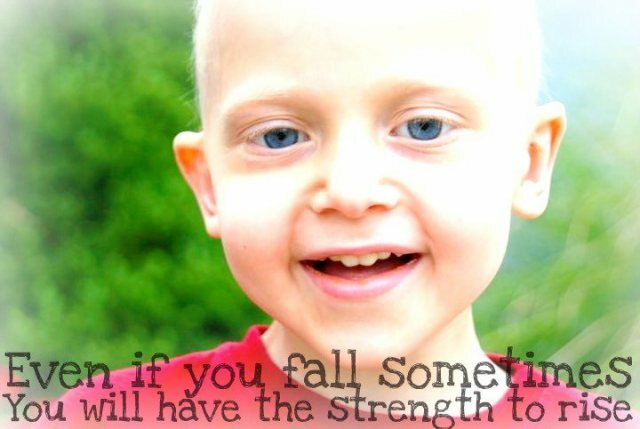 There is a part of me that loves the way people say children with cancer “earn their angel wings” when they pass. I love the word “earn,” because that is exactly what they have done—they have earned the wings of angels. The part of me that can’t stand it is the part of me that knows how hard they have fought to earn those wings. Dear Baby Layla has touched the lives of people all over the world. Even now, as she flies free with her angel wings, she continues to inspire people with her courage. Layla is a like a love-magnet, with a magnetic love force that draws people to her… even now. I marvel how a two year-old girl can truly make a difference in the lives of others. I am blowing you a great big kiss Layla…. MMMMMM—WA! 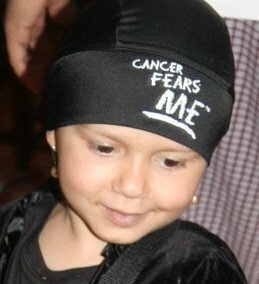 To everyone at Layla Grace Foundation, I send my sincere thanks for turning your love for Layla into help and hope for children with cancer. Swirling feelings from many directions have me spinning a bit today. I am very, very excited about being one of 251 people throughout the world who have been chosen to be 2011 LIVESTRONG leaders. At 7:00 am, I listened to my very first LIVESTRONG conference call. May I please admit that one of my favorite things about the experience was hearing different accents from all over the world? This is something I love about LIVESTRONG—they see cancer as a “global threat” that needs immediate attention. Truly, the entire world needs to notice, needs to learn, and needs to act now to fight cancer. I am grateful for this opportunity to help LIVESTRONG make survivors stronger each day… and most of all, for the opportunity to help make cancer so weak that it croaks. Yes… I wish cancer would croak. As this day has progressed, I received news… bad news. I have an event scheduled for this coming weekend for the University of Art in San Francisco; they are raising money for the University of San Francisco’s Children’s Hospital. For a couple of months now, I have been communicating with a lady named Rachel who is planning this event. I haven’t heard anything from her for the past two weeks—until today. She has been spending countless hours at USF Children’s Hospital because her nephew, Sy, was diagnosed with a rare form of cancer two weeks ago. She has been planning this event out of the kindness of her heart to help fight pediatric cancer, and now, she is personally affected by the horror of her loved one being struck by this terrible beast. Please pray for Sy. To top off the swirling, I received mail today. I received Breanna’s program from her memorial service. Her mom, Helen, was very kind to send it to me. 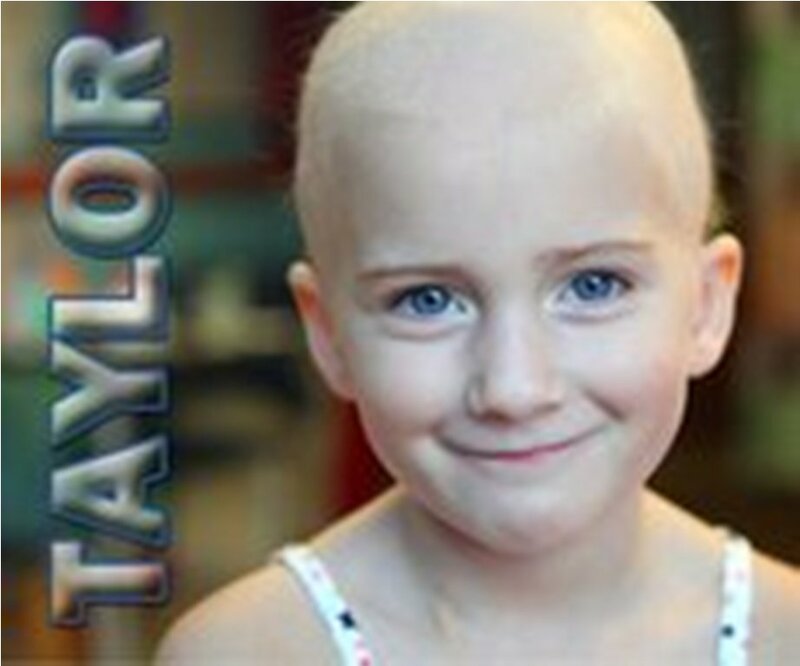 I cried looking at her photos. I cried looking at her smile. I cried imagining what her family is feeling. I cried to know that she fought so hard, suffered so much, and now she isn’t here. 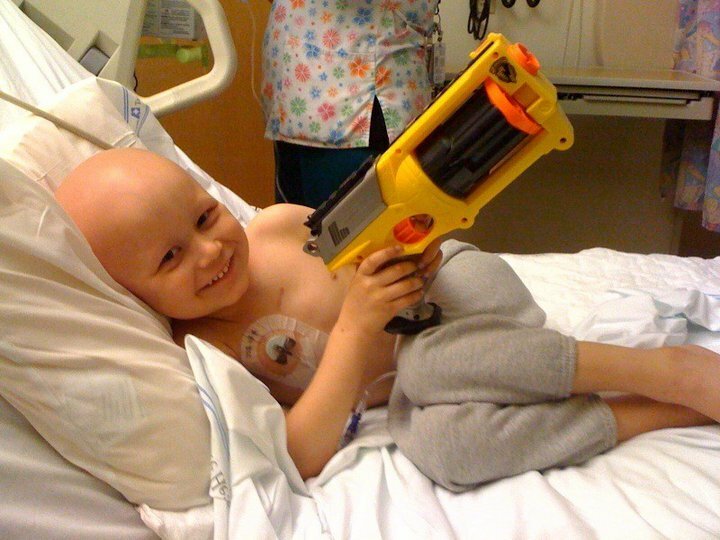 Braden says, "Take THAT cancer!"